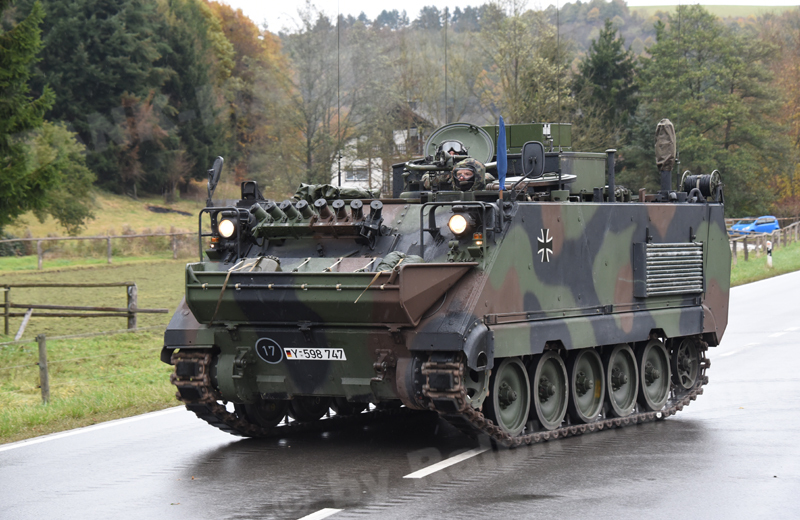 With the fielding of the first M113 G3 EFT GE A0 Trägerfahrzeug Rechnerverbund Artillerie Artillery Computer Network Carriers fitted with the ADLER system, Bundeswehr Panzerartilleriebataillone received a command and fire control system that massively improved the quality of command during fire misisons, operational flexibility and reconnaissance conducted by the artillery. 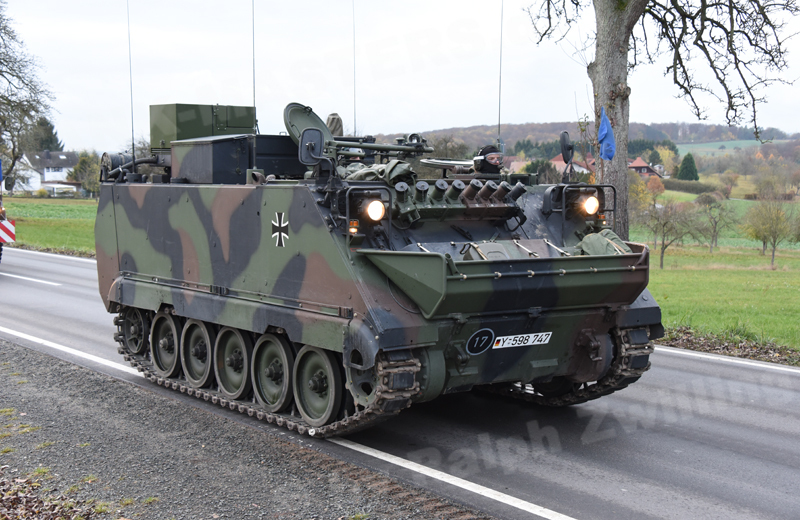 The vehicle is in service with the artillery in two different variants. 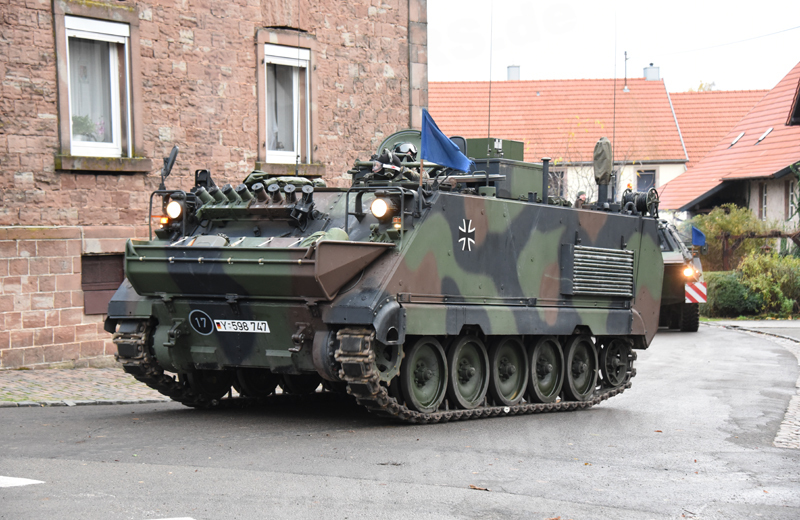 One is the Führungs- und Feuerleitstelle (FüFltSt) Command and Fire Direction Center, and the other is the Feuerunterstützungsoffizier (FUO) Fire Support Officer. 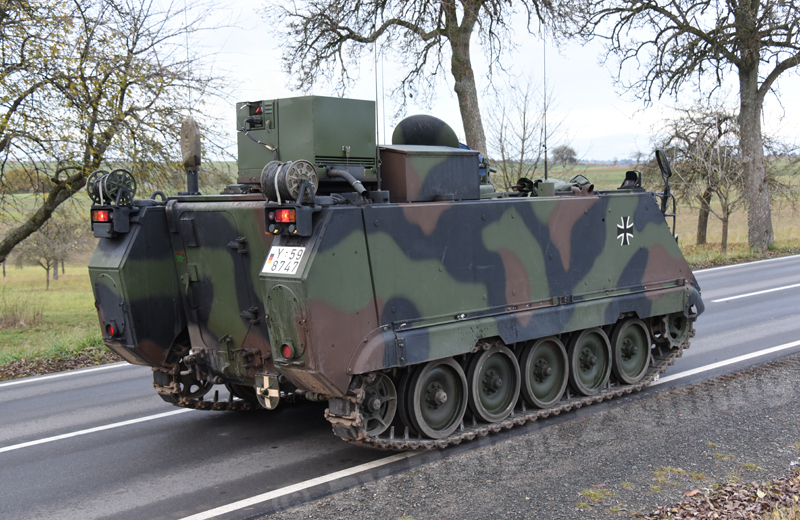 The vehicles can be distinguished from each other by the SEA 1,9kW auxiliary generator mounted at the rear of the roof of the Command and Fire Direction Center Vehicle and the air-conditioning system mounted on the cargo hatch of the Fire Support Officer Vehicle. The armament consists is of a 7.62mm x 51 MG3 air defence machine gun and a 76mm smoke grenade discharger system with eight launchers.